This is the ultimate storage lap desk solution with a carrying handle. No more slouching! Perfect for use on your sofa or bed! Easy access compartment for storage- Features 3 built-in storage compartments; great for organizing all of your accessories. This desk fits laptops up to 17 inches, which is great for work and movie watching. Built in stand allows you to view your iPad or other smart devices in landscape and portrait mode. The desk top itself is durable and easy to clean, while the cushion is micro-bead based and extremely comfortable. 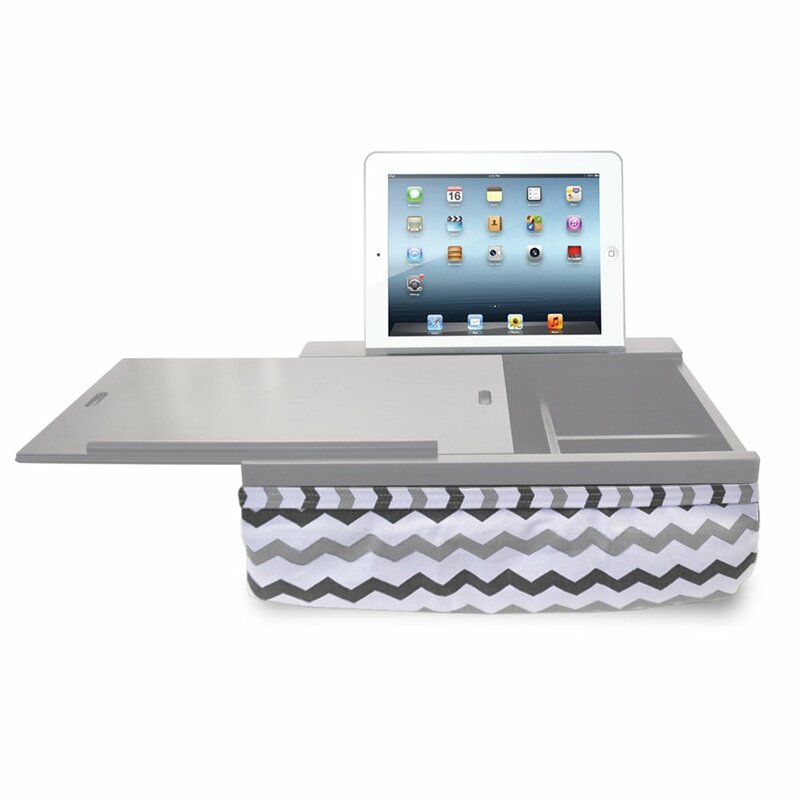 Color: Grey Chevron New from iCozy comes this sleek and comfortable lap desk. Work in efficiencyand ease; whether you're in bed or on the couch, you'll never be without yourtecnological essentials again. The roomy storage compartments fit everythingfrom notepads to tablets, and help keep you organized, even moving from roomto room. Form fitting microbeads mean hot and heavy laptops are a thing of thepast. Transform your whole house into a home office or up your entertainmentgame with this seriously cool addition for work or play.